Are you getting enough customers to your business? If the answer is yes congratulations. Most business owners and corporate officers say NO. Especially if they are in 3rd place in market share or worse. They used to be great once, but not so much anymore. They are tired of running in the race and ending up 3rd or worst. In my business I work with people that are not happy with their market share. They have tried, but they haven’t always been able to trust what their reports or people in their downline are telling them. This has made it difficult to build a business. They find themselves always having to do everything. If they could just clone themselves, they’d be set, they often are heard saying to themselves. Because of this, training and strategy is not duplicating in the team’s infrastructure. Their is lots of infighting among reports and people are jumping ship. We hear this a lot from people. These business leaders have tried to solve their problems inhouse, within the team, but they are not getting the results they need. They are ready to search for an outside solution. Something has to change and quick, or they are being threatened with losing their comfortable lifestyle. The leaders up above are watching them very closely, and this makes them feel uncomfortable. In short they are worried. I’ve even heard of people building up a huge organizations only to have the people up above take their whole infrastructure or downline away. This is what we are finding, but it doesn’t have to be this way. Their is a solution to your problems coming out on September 23rd called ENV2 a system of viral, sales and marketing “machines” to get more customers to your business and make your processes and trainings duplicatable, and you profitable. The good part is it is easier to use than WordPress, and it is housed on a growing authority site, currently as of the time of this writing, # 413 globally and #116 in the US. based on Alexa.com rankings. Alexa.com is the global authority on ranking site popularity. Are you getting enough customers to your business? Can you write about your customers and their situations that you solve? 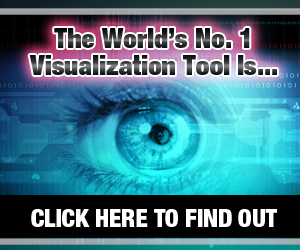 Does your business have a visual component to it? Do you know enough about your craft to write about it and post, videos, audios and other content from your mobile phone or computer? Or, can someone do that for you if you have the right system in place? Oh, and it is capable of using multiple domains all from the same authority site. Something very big is coming.